Coconut, Brandy and Some Ombre! Today’s wedding cake was covered in pink ombre buttercream ruffles and held 2 different flavours underneath all of the buttery goodness. 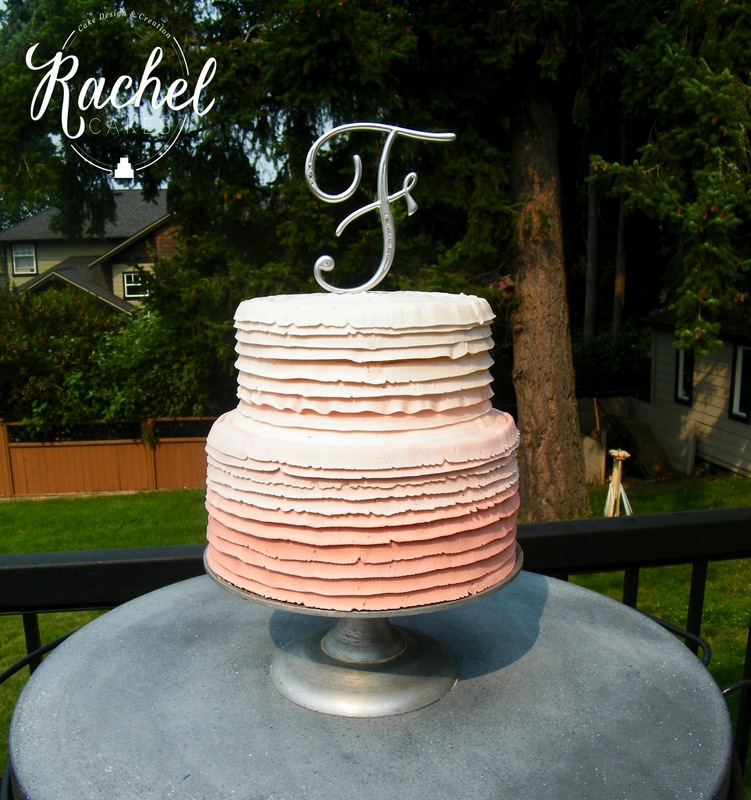 The bottom tier was a coconut cake with raspberry coulis and vanilla buttercream, and the top was a vanilla cake with a brandied apricot glaze. Set in the most BEAUTIFUL outdoor location, I’m convinced that outdoor weddings are my FAVOURITE weddings !